We all know how hard it is for me to contain my curiosity and excitement in a Library. I go book crazy. Recently I paid a visit to the local AFB Library which is always calm, clean and for the most part sparse (I go during working hours). The "New" section caught my eye and my hunger began. 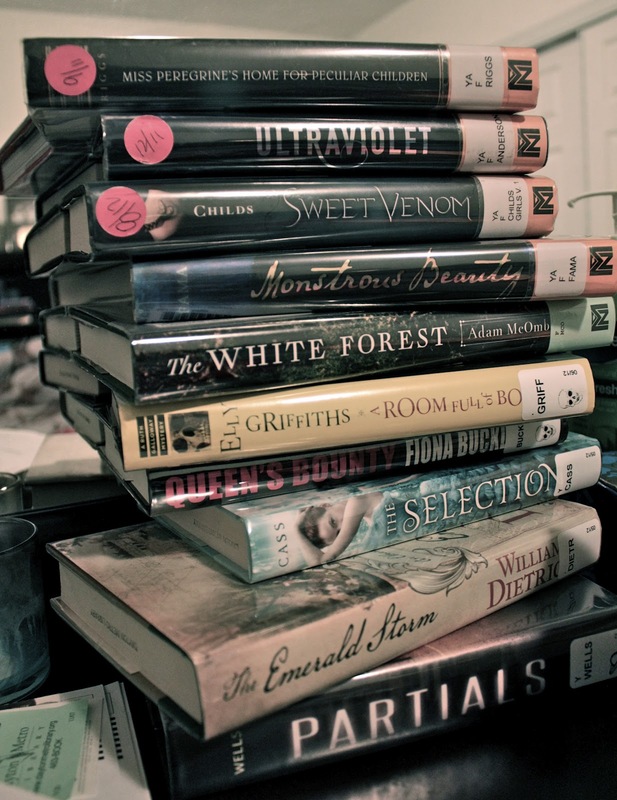 I went on a Library Rampage.